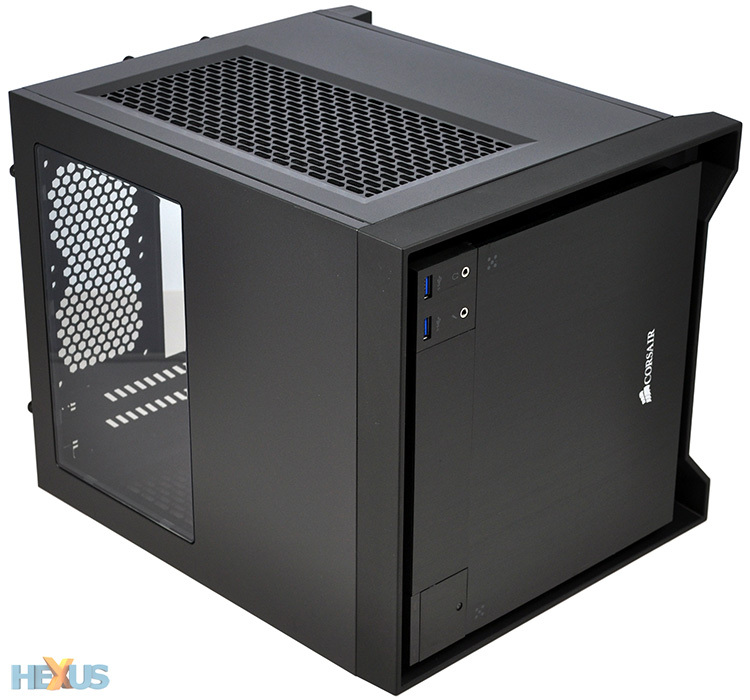 Gigabyte may be best known around these parts as a purveyor of high-quality motherboards and graphics cards, but over the course of the past few months, the Taiwanese tech giant has been making inroads into the world of PC gaming peripherals. It's an area of the market that's becoming increasingly competitive - anyone who's anyone plans to release keyboards and mice in 2014 - but Gigabyte is one of the select few who has the financial backing to roll out something a little different to the norm. 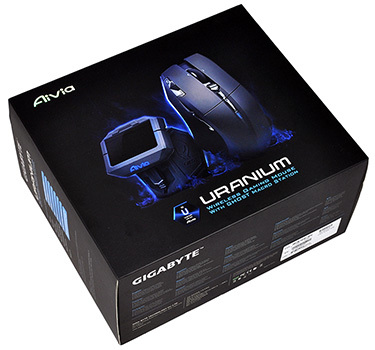 Take, for example, the recently-launched Aivia Uranium wireless gaming mouse. 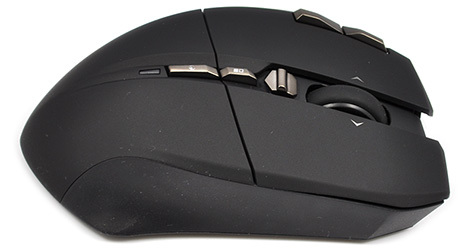 Introduced with an MSRP of $120 (currently £85 for UK buyers), Gigabyte's new arrival is one of the most expensive gaming mice available and hopes to justify its lofty price tag with a two-part package: a wireless, 6,500 DPI mouse and a Ghost Macro Station receiver. Let's start by taking a closer look at the mouse. 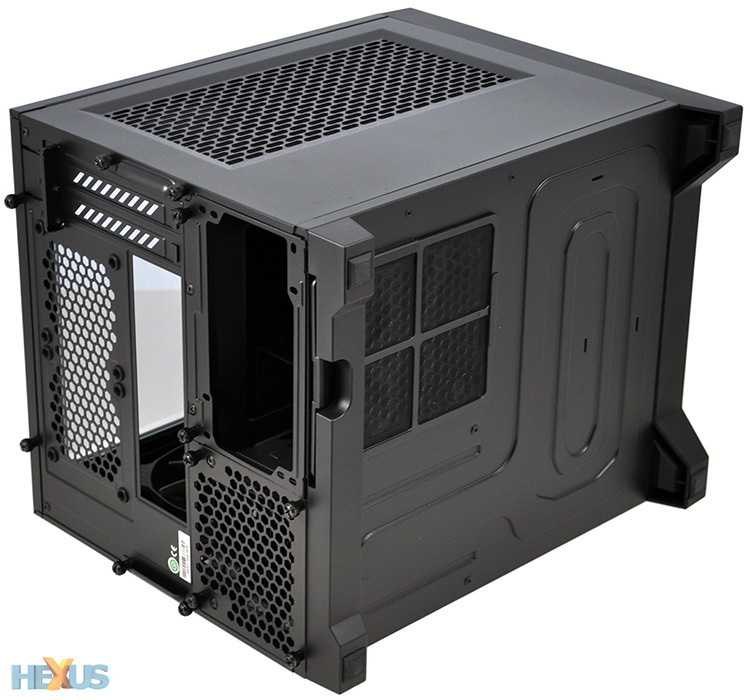 From the moment you begin unboxing the Uranium package, it becomes clear that this is a premium solution. Everything is neatly presented, well-finished and designed to make it feel like a worthy investment. That impression of quality is continued when you first take hold of the mouse. Measuring 130mm (L) x 78mm (W) 40mm (H) in size and weighing 170g (114g without batteries), the Uranium is bigger than most mice yet feels great in the hand. Size and comfort is a personal preference for any gaming peripheral, but we reckon users with large palms will really enjoy the Uranium's shape. Finished in matte-black with dark-grey buttons, the mouse looks smart and is thankfully without any gaudy gamer-specific highlights. The 'Aivia' logo is subtly placed on one side, the colour scheme is just about perfect, and there's only a single LED. Residing just below the row of central buttons, it illuminates when battery is low but otherwise remains turned off and unobstrusive. 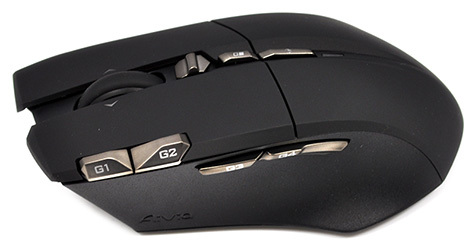 This is one of the better-looking gaming mice available, and there's build quality to match. Although plastic is the primary material, the entire unit feels solid and well-put together - there are no squeaks or rattles, and the outer material feels comfortable even after prolonged use. The top surface is smooth, while the sides have a slight texture that's just enough to provide that crucial bit of grip. Curved sides provide an appropriate recess for thumb and ring-finger placement, and the overall shape feels good during use. 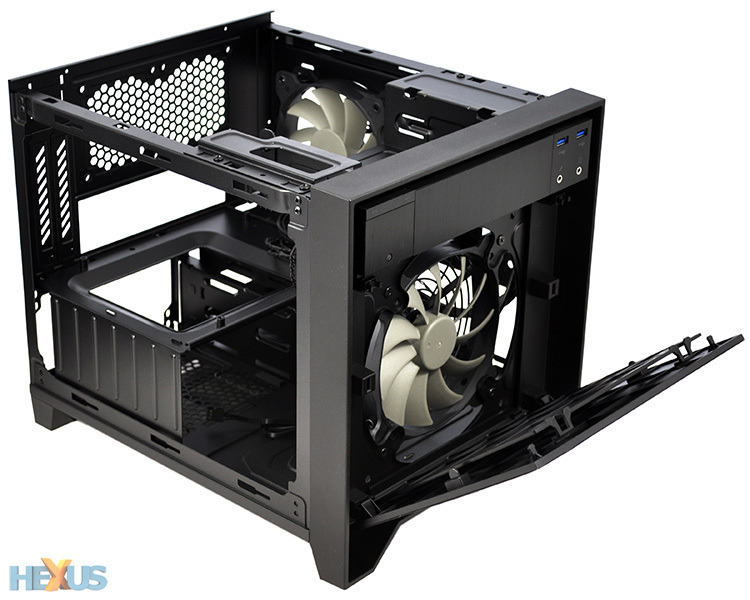 There is one obvious caveat, though: Gigabyte's design is exclusively for right-handers. 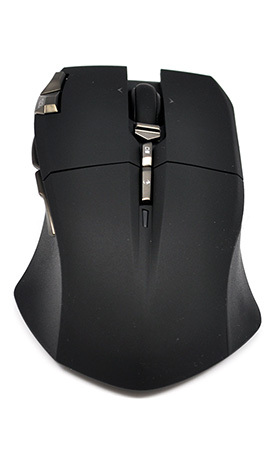 Sorry, lefties, this isn't the mouse for you. Shape, size and feel are crucial to any gaming peripheral, yet while the Uranium gets those elements pretty much spot on, it won't count for a lot if the underlying hardware isn't up to scratch. Fortunately, there shouldn't be much for gamers to worry about. Gigabyte's rodent touts a twin-eye laser sensor offering adjustable sensitivity levels of between 100 and 5,600 DPI (or 6,500 DPI when enhanced through software), a 1,000Hz polling rate, and 10 programmable buttons. 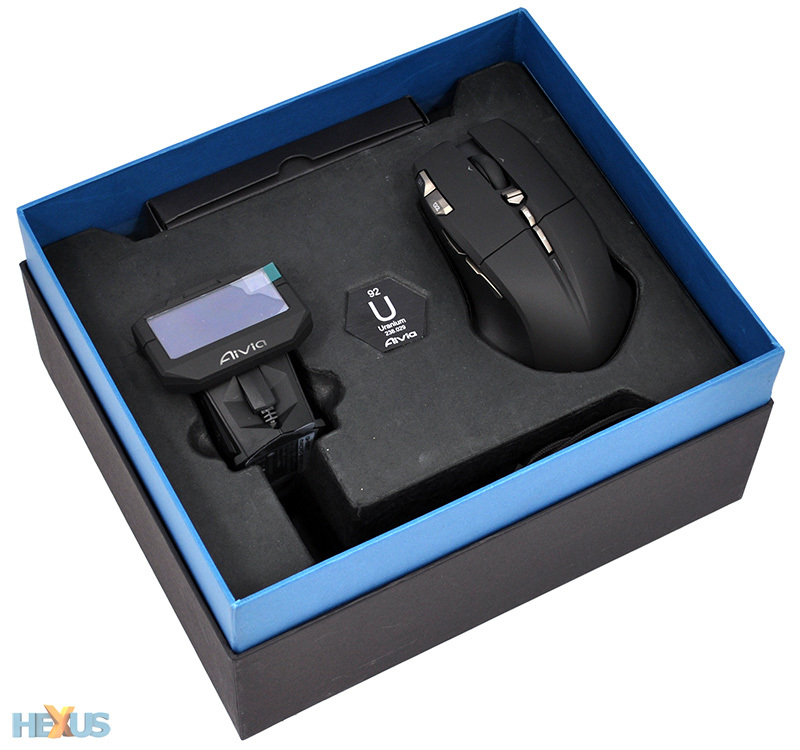 Almost everything you'd expect to find, though it's a shame adjustable weight isn't part of the specification - that's a feature we've become accustomed to seeing on high-end gaming mice. 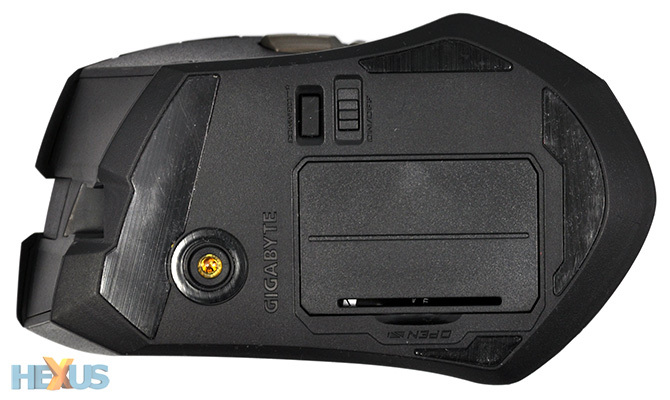 Squeezing so many buttons onto a mouse can be problematic from an ergonomic point of view, but Gigabyte has done a good job for the most part. On the top of device, below the scroll wheel, there's a dedicated on-the-fly DPI adjustment rocker switch that can be used to quickly raise or lower sensitivity. The switch might be a tad too sensitive for some - we had a few accidental presses when scrolling down on the wheel - but it can be a real boon for precise users who need to change DPI to match in-game conditions. The button just below the DPI rocker is by default configured as a scroll wheel controller lock - this toggles the wheel to act as a controller for the accompanying Macro Station (more on that later) - and the button at the bottom of this top column allows fast switching between five available profiles. Along the Uranium's left side, the programmable G3 and G4 thumb buttons are well-placed and offer good tactile feedback, however G1 and G2, which are inset in the primary left mouse button, take some getting used to. They're raised a little too high for our liking, and are slightly awkward to press with the index finger. Gigabyte's scroll wheel, meanwhile, feels great. The rubberised texture is comfortable to use, there's a good amount of resistance, and as you'd expect it can be used laterally as well as the usual forward-and-back rotation. Underneath the mouse, we can see a dedicated on/off switch, an off-centre laser placement, four Teflon feet (with a set of spares included in the bundle) - and a compartment for the two rechargeable AA batteries. 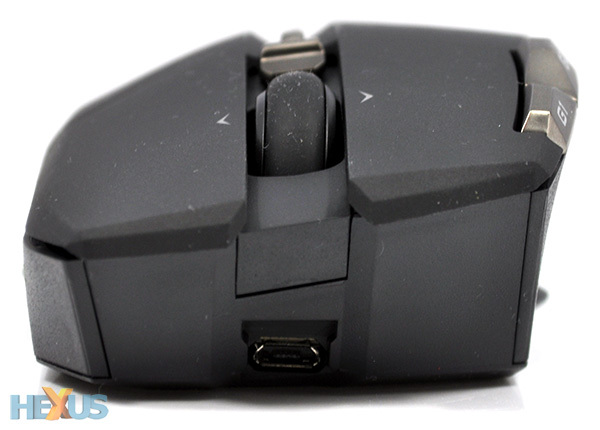 Yes, it won't have escaped your attention that this is indeed a wireless gaming mouse, which for some time has been considered a no-no for serious gamers. The most extreme users may never be converted - some simply won't be willing to sacrifice the guarantees of a wired connection - however Gigabyte is confident that modern wireless technology has negated any lag concerns. We're told to expect "over 50 hours" of continuous use from a single charge, but what's handy is that the mouse can be refuelled while in use via the accompanying Ghost Macro Station.